• Mix lemonade and blueberry vodka in a cocktail shaker filled with ice. • Strain into highball glass with ice. • Top with a splash of club soda. 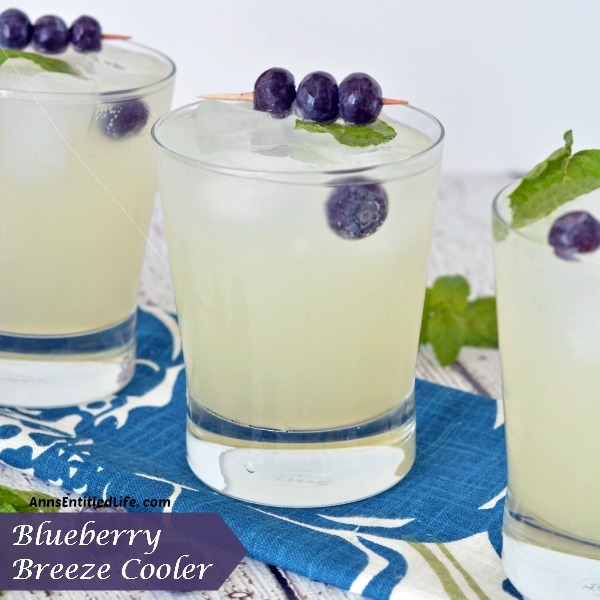 • Garnish with a mint leaf and several fresh blueberries. Sometimes easy just works. This drink is super easy to make, tastes delicious, and really does go down easy. The main problem when something doesn’t taste too alcoholic, is it goes down too smoothly. Watch your intake. But honestly, if you want to impress your guests at a cookout, while sitting on the patio, or relaxing in the pool, mix up a pitcher of these (this is a 3-1 ratio, just top each glass with a splash of club soda), and enjoy! This is a delightful summer cocktail recipe – easy to make for parties, a weekend cookout, or just a relaxing evening! 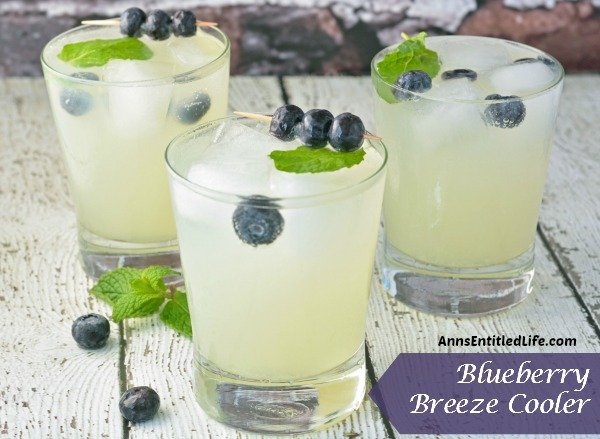 If you would like to print the Blueberry Breeze Cooler Recipe click here. 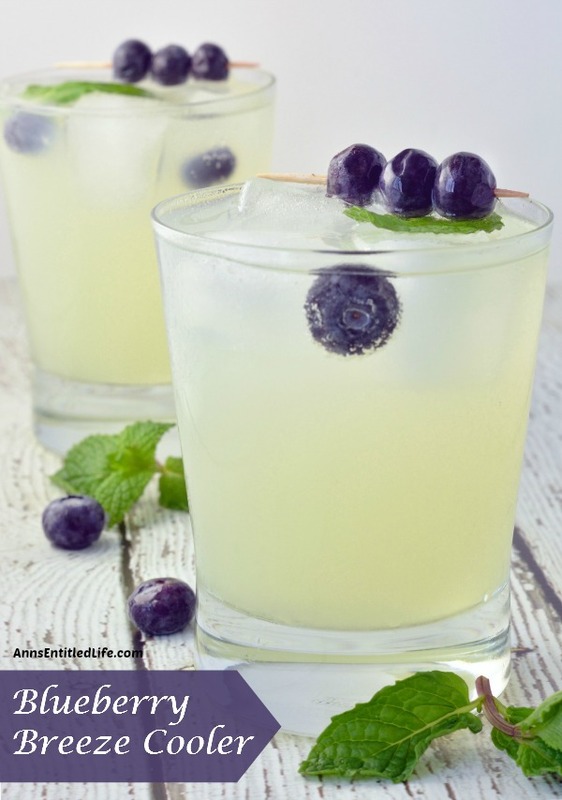 • Central Coast Cocktail Recipe – Prepare yourself for the taste bud explosion! This yummy Central Coast Cocktail Recipe is the perfect combination of sweet and tart, with a touch of fresh mint flavor. Simply delightful. • Sorrento Sunrise Cocktail Recipe – The sweet-tart taste of lemon and bourbon combine to make a perfect summertime cocktail. Fresh, clean, and citrusy with just a hint of beaches and sunshine, this delightful Sorrento Sunrise Cocktail is a fabulous summer beverage. Non-alcoholic versions of the delicious drinks would be nice. Could just be another paragraph with substitute suggestions. Thanks for posting such cool ideas. This sounds so good! Blueberry season makes me very happy. Pinning to my drinks board. Sounds so refreshing! Thanks for linking up at Inspire Me Mondays! This looks delicious and just in time for the holiday weekend! Can’t wait to try it! Visiting from the Wonderful Wednesday hop. Your photos are gorgeous. I never heard of Blueberry Vodka – but now I might have to see if I can find some and try this recipe! This sounds so refreshing! Stopping by from Foodie Friends Friday. I think EASY always works when it comes to drinks;) I’m on a hunt for tasty, refreshing and easy to make summer cocktails. So I will have to give this one a try soon. This looks super refreshing! Thanks for linking up with What’s Cookin’ Wednesday! Yum!! Can’t wait to try this recipe this summer! Thanks for linking up with Merry Monday. Thanks so much for sharing at Delicious Dishes! Hope to see you again this week (party opens Tuesday morning!). I LOVE blueberries. Yum! This looks delicious! Thank you for linking up with Dream. Create. Inspire. Link! Pinning! saw this while looking for summer cocktails in your Summer Cocktails section, very convenient! 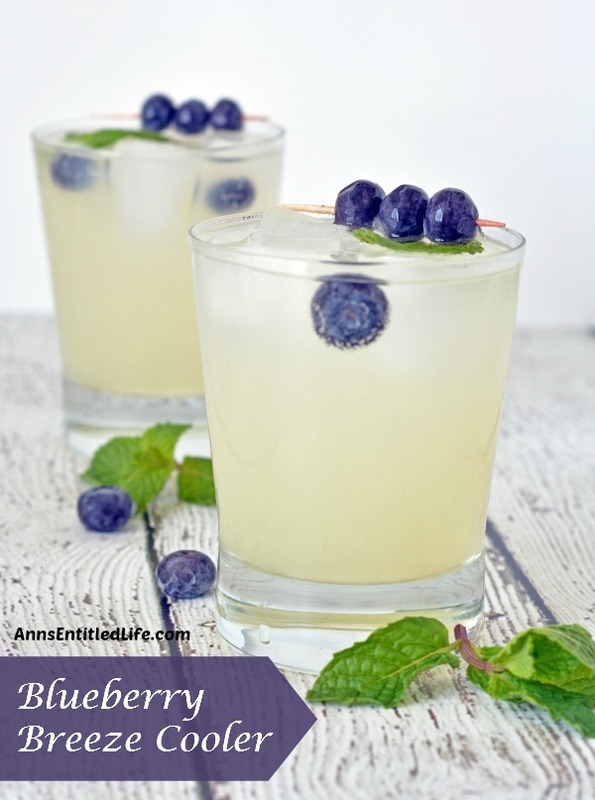 Really nice cocktail for summer, love adult lemonade and nice touch with blueberries! Antioxidant plus! So thank you for this cocktail recipe!